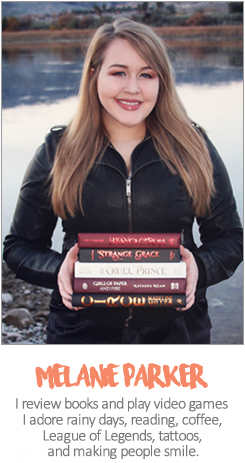 I always feel like when I write a review for a five star book I’m not doing the book justice. It’s easy for me to write what worked or what didn’t work, but it’s hard for me to describe magic. The book even touches on this and how it’s impossible to describe some things. It would be easier for me just to call this book blue fantastic and move on. But where is the fun in that? So I’ll try and probably do a mediocre attempt of explaining why the biggest regret I’ve made in my literary life is not reading this book sooner. 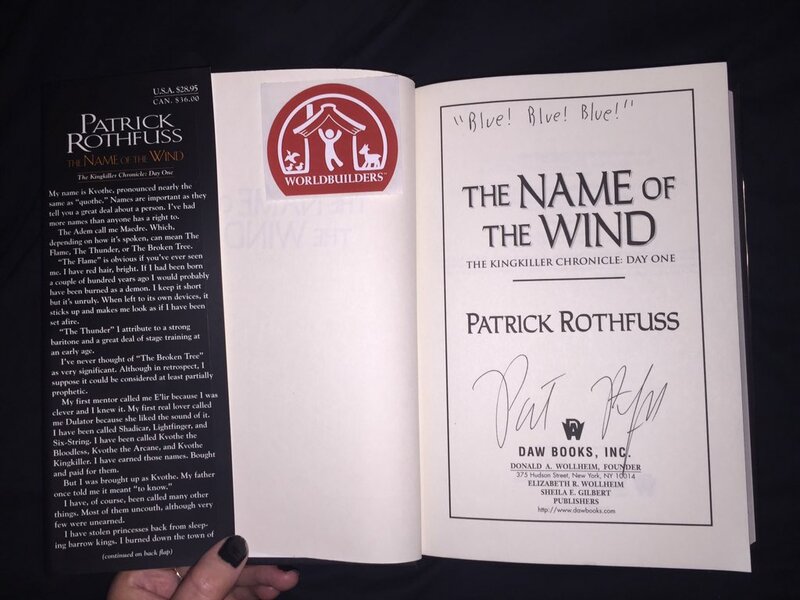 The Name of the Wind has been on my “to-read” list forever, but what made me push it to the top was that I’ve been watching Pat stream Fallout 4 for a charity he runs, Worldbuilders (which I cannot stress enough how wonderful this cause is and how you should check it out). I always have some stream running in the background when I’m home and I figured I’d give him a chance, but I didn’t expect to completely fall in love with his personality. Seriously, the man has more charisma than any of the Twitch streamers out there. He’s very entertaining, passionate (about this charity, books, and his post-apocalyptic city), and a natural born storyteller (much like Kvothe). 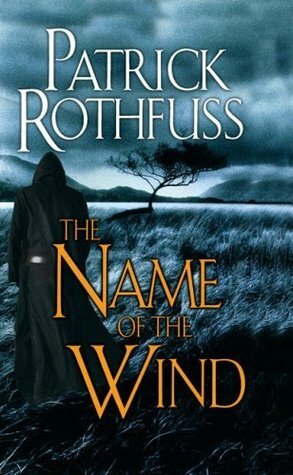 I liked Mr. Rothfuss so much that I knew I had to read his book immediately and, to know surprise, it completely enthralled me. In fact, it’s the best fantasy book I’ve ever read. The story starts in The Waystone Inn, in Neware. The owner, Kvothe/Kote, is going to tell his life’s story to a scribe named Chronicler after the town has had a couple run-ins with “demons”. I know the sound of an innkeeper telling a story of his past in his inn sounds a little cliché, but the story itself is so unique and good you will soon forget this is a tale being told from an inn at all. Kvothe is a very gifted child and picks up everything he does with ease. His family’s troupe (traveling performance artists) is one of the best in the world. Therefore, Kvothe has dipped in many different pools to excel at. His family accepts an arcanist named Abenthy (Ben) into their troupe and Kvothe soon finds a new best friend in him. He teaches Kvothe many different abilities, most including tricks with his mind. He also teaches him more about the world and a place called The University, which could help shape Kvothe’s very gifted mind. unfortunately, Ben leaves the troupe to settle down and Kvothe, his wonderful parents, and all the other performers move on with their travels. The rest is Kvothe’s journey and what has made him become the man he is today, in The Waystone Inn, telling his story. I really don’t want to say much more, I just hope I’ve swayed you into giving this series a shot if you were like me and haven’t done so yet. The story is fantastic, the writing is amazing, and if you have a heart the main character will capture it. Oh, and the goose bumps I got when reading the epilogue and blissfully being connected to the very beginning for a full circle. I don’t really have words, just a whole lot of feelings that I’m not sure what to do with. I cannot wait to start The Wise Man’s Fear after reading this first masterpiece.